Incorporating elements from the most popular chairs, padding architectures, configurations, and features in demand, the Seatcraft Vienna offers a reliably satisfying experience, in every aspect. 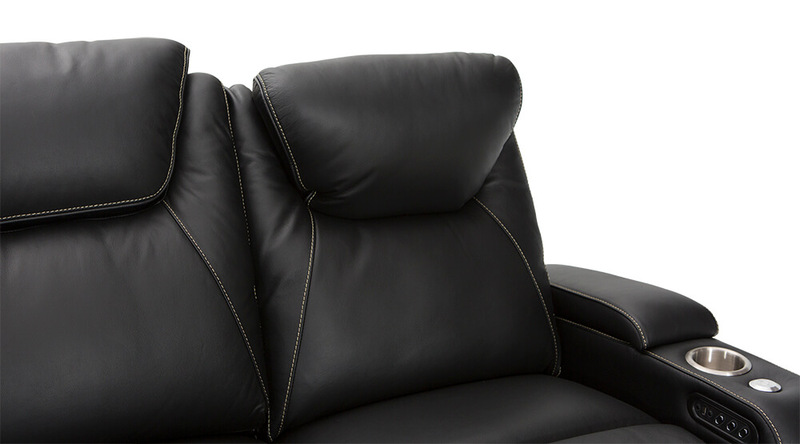 It’s a chair that has something for everyone. 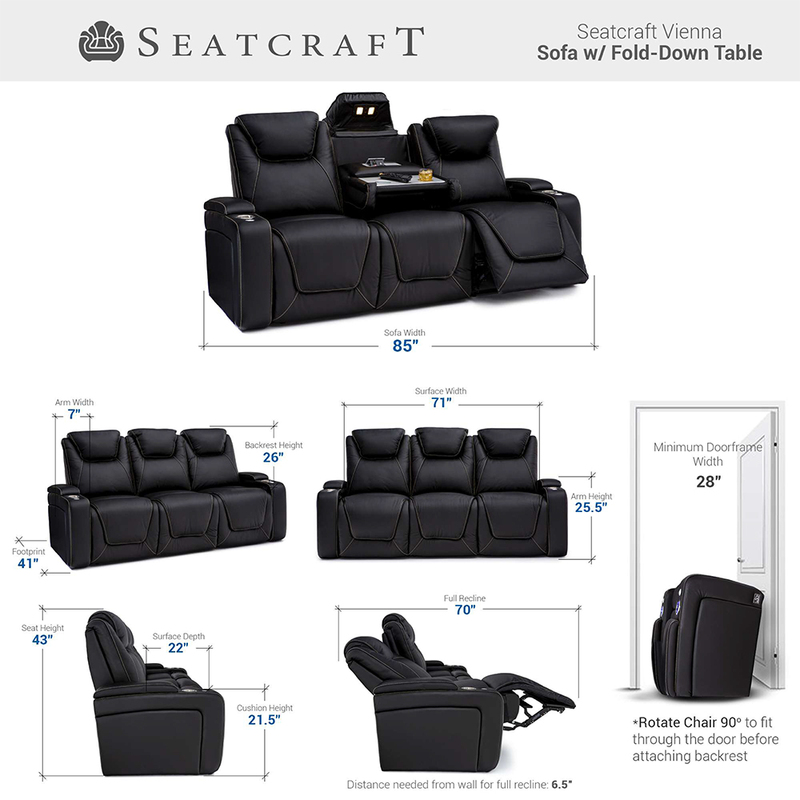 Owing to its internal padding, construction, and design, chairs built with its’ infrastructure are often described as Seatcraft’s most comfortable chairs, with its exterior and padding build taking lead from one of Seatcraft’s original flagship chairs, the Equinox. 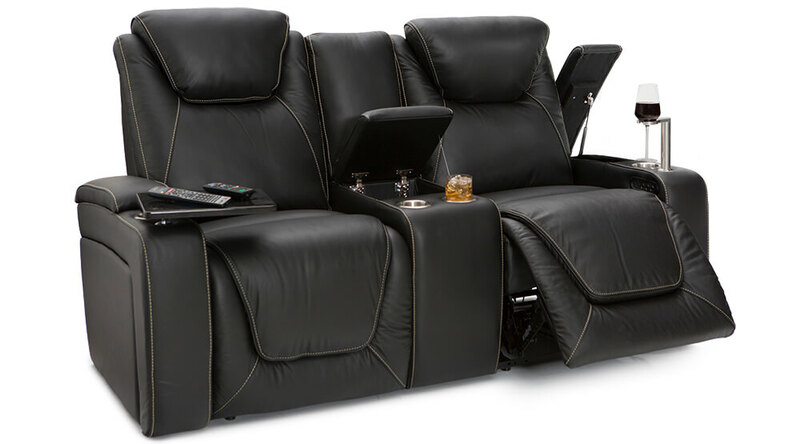 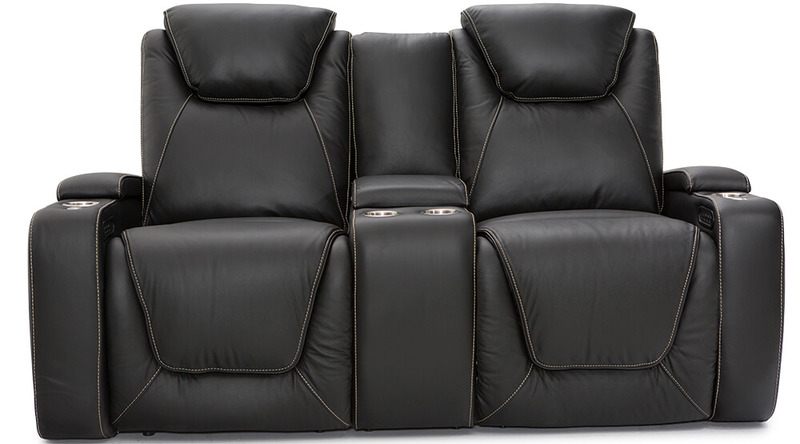 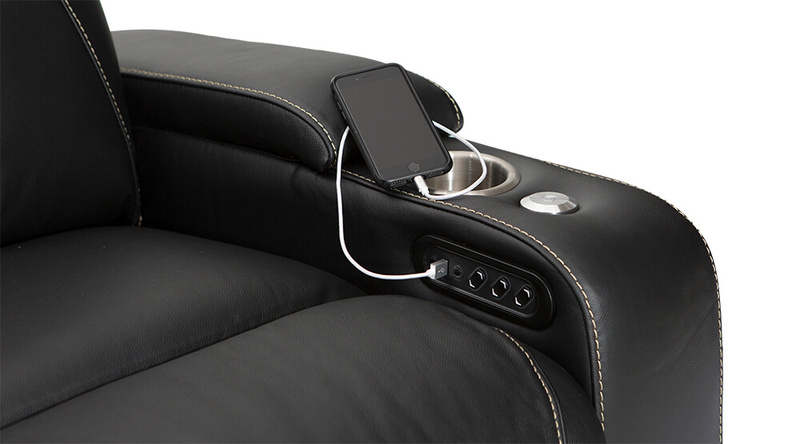 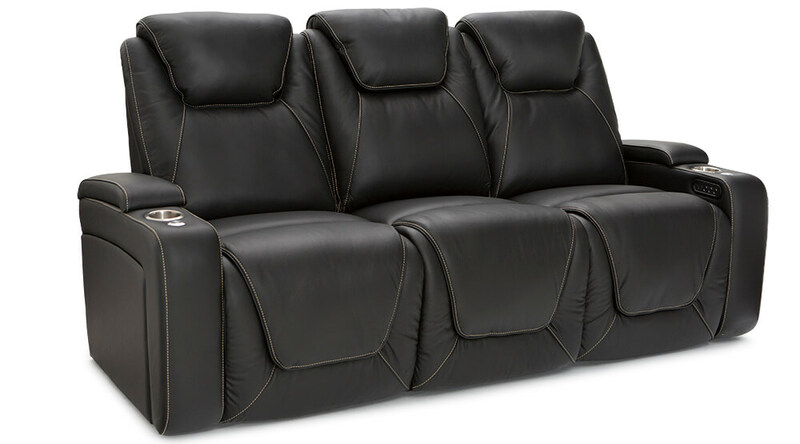 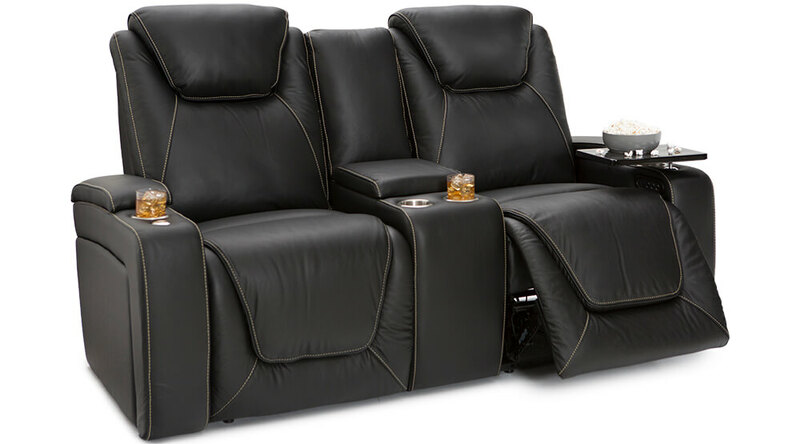 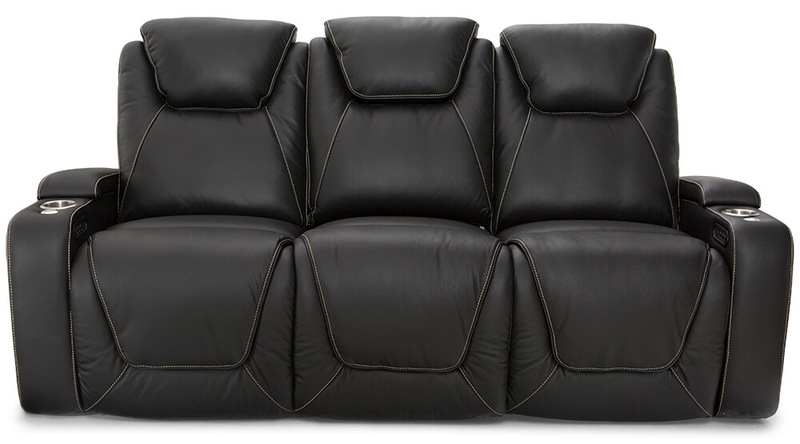 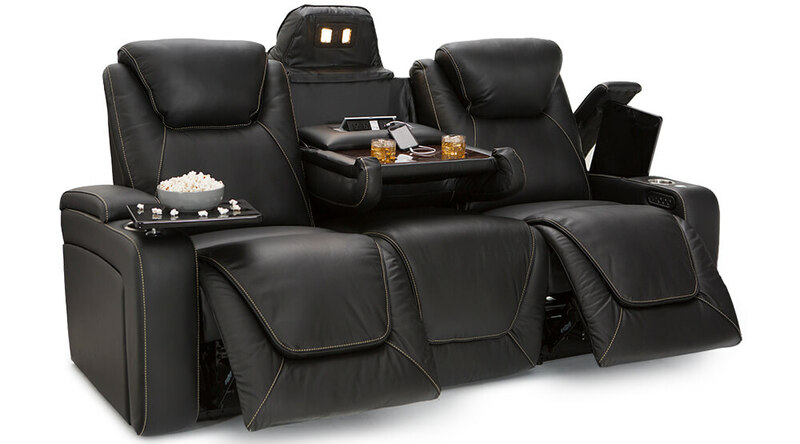 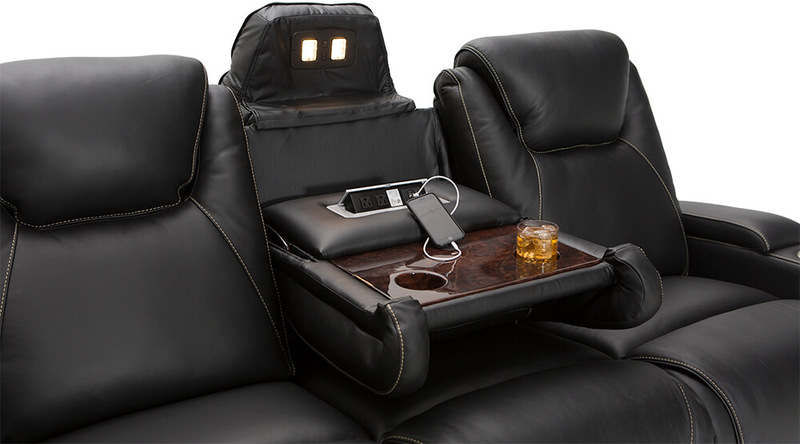 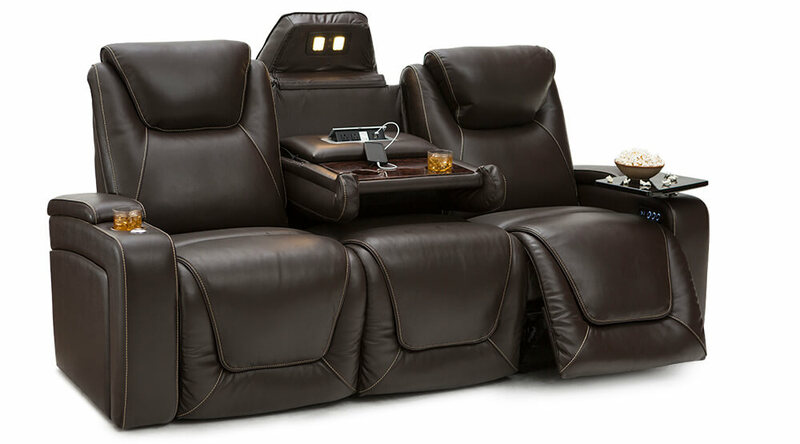 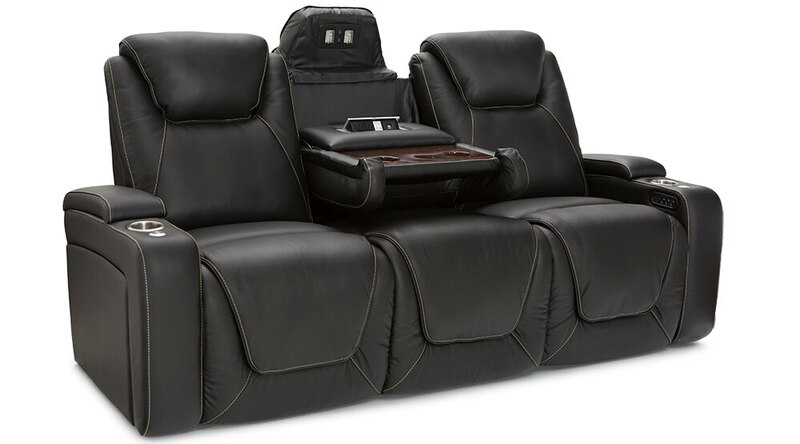 With it’s deceptively comfortable design beneath its’ rigid-looking frame, layers of supportive padding soothe you into innumerable conveniences; Power lumbar, powered headrest, USB-charging ports, in-arm storage, cupholders, power recline, and so much more. 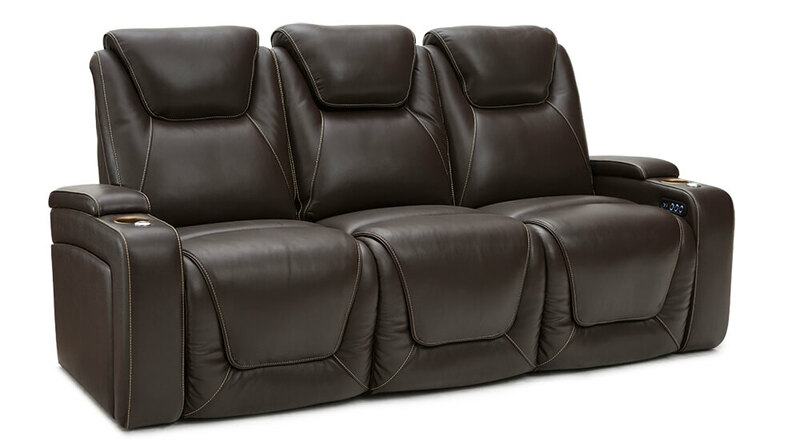 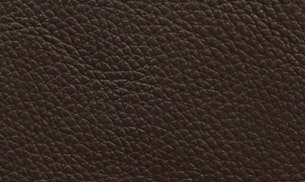 A powerful piece of furniture for anyone’s living room, the Vienna can fit in anywhere to please anyone with its range of features, Top-Grain Leather 7000 construction, and the sleek, refined appearance tying it all together. 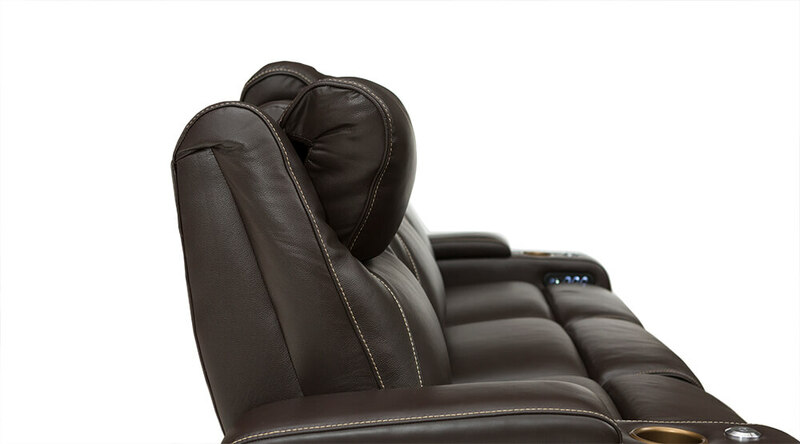 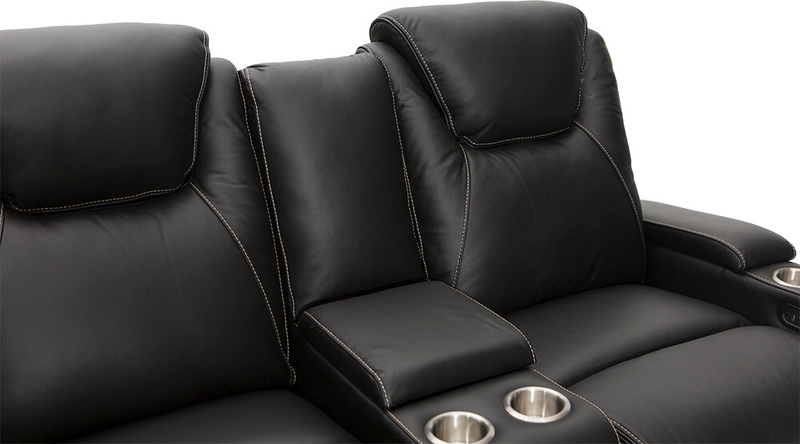 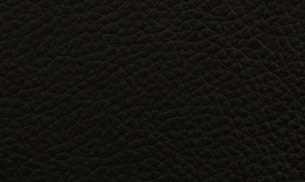 These headrests can be powered to stay in any desired position at the touch of a button, providing full support for any preference of support. 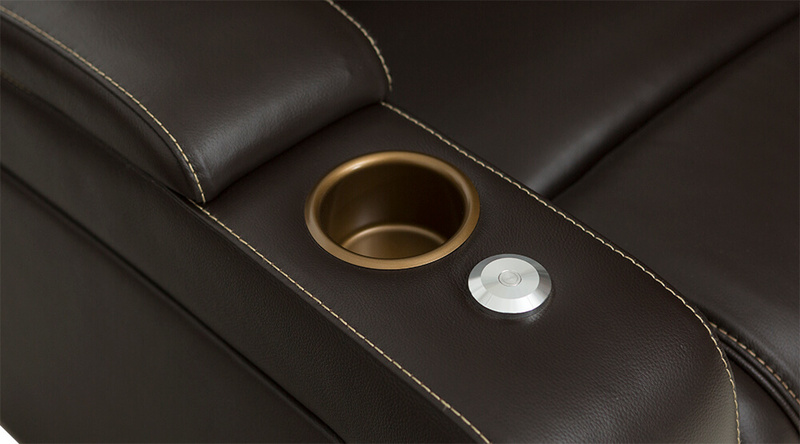 Keeping drinks always within reach, these cupholders come in bronze or steel, depending on the leather to accentuate the color of the stitching. 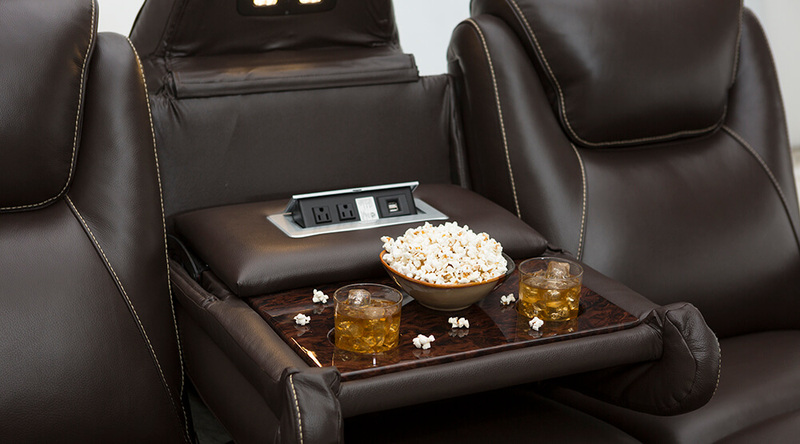 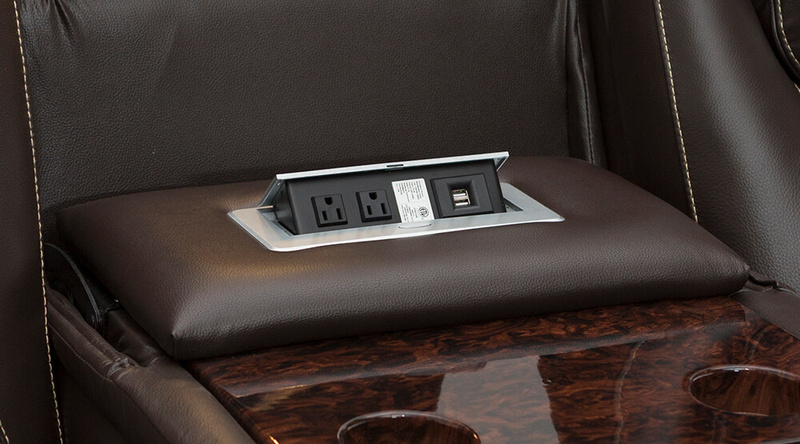 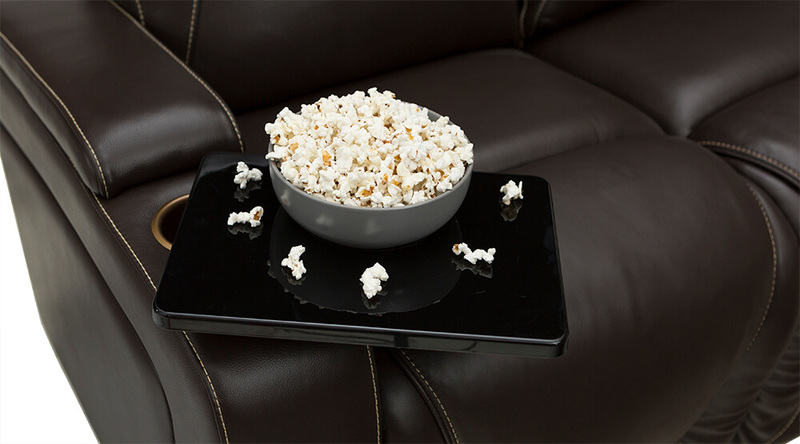 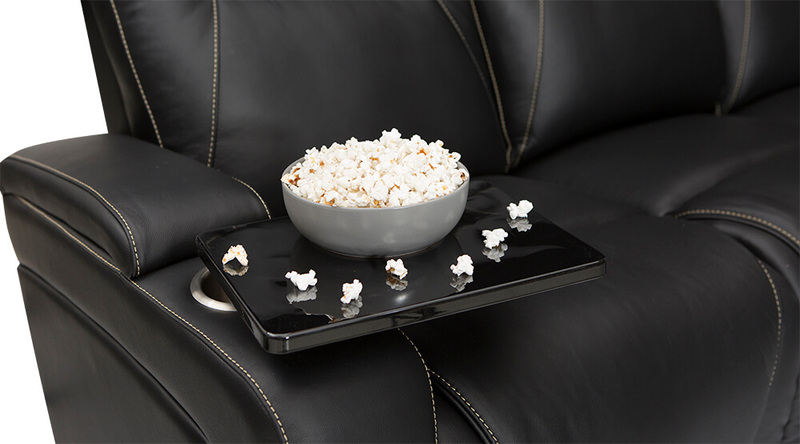 This spacious, burlwood fold down table features a multitude of features, from lights, to charging ports, and two lighted cupholders for all your electronics and beverage necessities.